Read Phil 2:1-11 or watch the YouTube clip below. v6-11 are like a creed or statement of believe. What do you believe about God/Jesus? Write your own creed. Or use playdough to model how your faith can be expressed. Click here for an explanation of the 10 Commandments using your 10 fingers. Go outside & look at the sky. If it's daytime, look at the clouds, what do you see? If it's nighttime look at the stars. Read psalm 19. Click here for a reflection on the Psalm reading. Click here for a reflection on the Exodus reading. Share a time when you have felt God close to you? How can the verses from Isaiah be of help to us? Watch the story in the YouTube clip below and talk about how God is like the mother raccoon in the story. ​Write a list, in priority order, of those you wish to please the most. Then read the Thessalonians reading. Who does Paul want to please the most? Look at the 10 Commandments (Exodus 20) and work out which match "Love God" & which match "Love your neighbours" thus demonstrating what Jesus says in the Matthew reading. 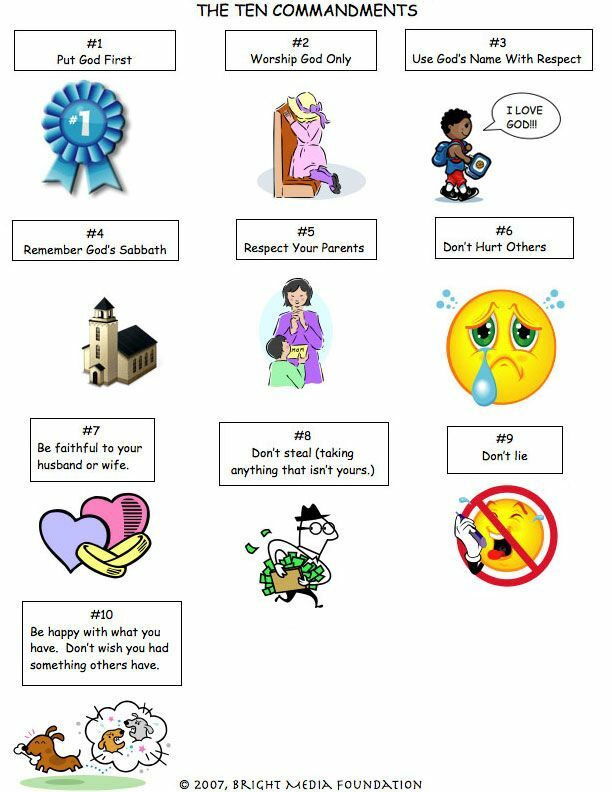 Go here for a version of the 10 commandments that you could print out & cut up. Click here for a look at the 95 Theses that Martin Luther nailed to the door with comments. Keep clicking through to read about all of them.